The fear of being caught on public transport with nothing to read. These words, and others, are offered by the Free Word Centre, a charity based in London, UK which is dedicated to literature, literacy and free expression. It hosts events and collaborates on a local, national and international level in three major programmes, one of which is entitled The Power of Translation. 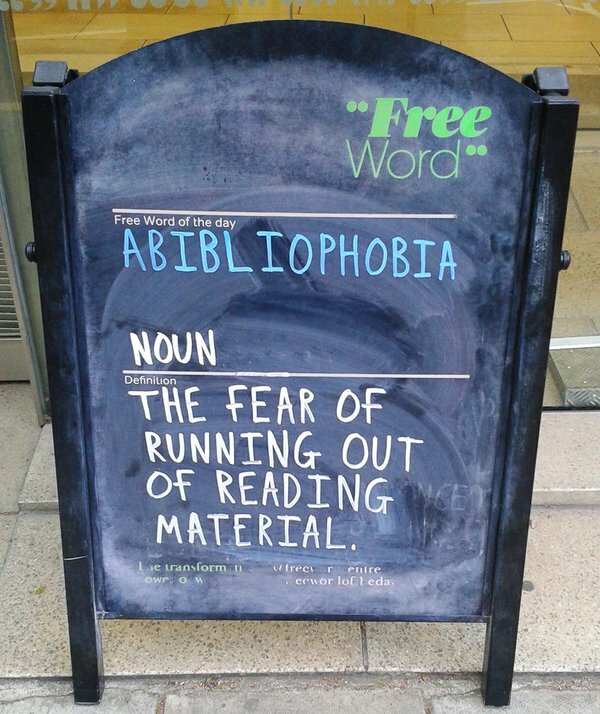 Abibliophobia: I tried my best but failed miserably (to imagine anything worse than this…. :) ).